Trends in web hosting technologies change at a rapid pace nowadays. New and new technologies are out on an almost daily basis, each promising better and better performance, security or flexibility. We monitor, test and implement these technologies on your server, making sure the environment is as fast, secure and flexible as possible. To ensure that your service stays lightning fast and secure, we have a dedicated system administrators team, monitoring live the processes as they are happening on all our servers. Our experience gained through the years proves this as the most effective way to maintain a fast, healthy and secure hosting environment. Having your own server means having your own environment, as well. You can rely on our Technical Support professionals on tuning almost every aspect of your server, ranging from custom OS, through custom web server, to running complex software, such as memcached, APC, nginx or LiteSpeed. We believe that every Customer that needs custom setup is entitled to getting it for free. We take daily and weekly snapshots of your data, including files, databases and configuration files. They are being kept encrypted and secure in another facility of ours, just a click away from you. Whenever you need to roll back a version or just restore an accidentally deleted file, you can always count on our professional Technical Support to do it for you at no cost. Through a careful employment process and an extensive in-house training, we have teamed the most skilled professionals in the industry to take a great care of your everyday needs. The Geniuses are just a click away from you and we guarantee 15 minutes response time. No matter the type of request you have, the time of the day or if it is a holiday - TMDHosting Geniuses are 24/7/ 365 on your immediate disposal. Your server will be monitored 24/7/365 by a real human. The same experts who are managing our shared hosting infrastructure will make sure your service is as fast, secure and flexible as possible. Our services are fully managed, so you can leave all the system administration tasks to our professionals. In the meantime, you can simply focus on more important things, like managing your website and business. We understand that your website means a lot to you and possibly your livelihood. We are prepared to throw a swift reaction in scenarios requiring physical intervention. We have an especially trained team, which can physically examine your server or perform an immediate hardware replacement in case of any emergency. This is an exclusive service, offered for free of charge by only a few companies, including ours. One of the most important factors when building and managing a website is the security, which your environment provides. With all the different versions and flavors of open source software, keeping track of all the threats that wait outside ain't easy at all. We have a dedicated security analysts team that maintains our in-house firewall systems and makes sure that your environment is always protected from even the latest threats. Environment optimization for maximum performance can be very hard process without the right hardware to power it. We are using only the latest Intel powered servers, performing regular updates of our infrastructure on quarterly basis. In addition, we are partnering closely with Intel by testing out new models in an isolated environment before they roll out on market. By default, we will deliver your server preconfigured with the latest versions of CentOS,cPanel, Apache, PHP, Perl and MySQL. 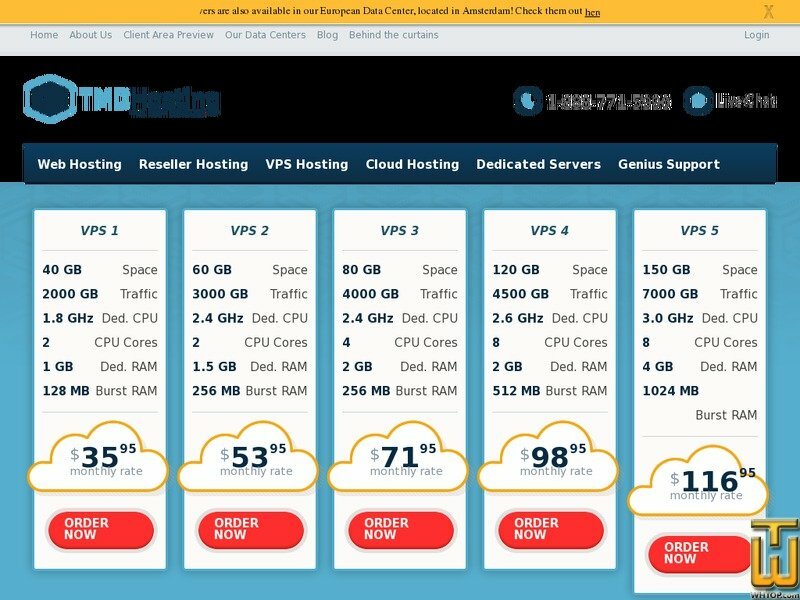 This is the kind of setup we have proven to be appropriate for most web hosting needs. On demand, we are fully prepared to deliver every kind of technology you need to get going. You simply have to request it from our techical support team. cPanel is the most popular and user friendly control panel in our industry. It provides a great set of tools and features, thanks to which you can manage all aspects of your hosting account with the ease of a single mouse click. Combined with the WHM (Web Host Manager) tool, managing your hosting account is no longer complicated. It is provided on all our servers for completely free of charge. We understand the need to login at your server remotely via SSH or the great ease of using WHM (Web Host Manager). Root access is available to proficient users feeling themselves comfortable with command line. Full access is granted on demand and at no cost, so that you can take full control on your hardware and software when in need. The same terms apply for the Web Host Manager suite, as well. We know how much connectivity matters nowadays. All environment and hardware optimizations we have performed would have meant nothing without reliable Internet connectivity. We are using multiple Tier 1 telecom providers including AT&T, NTT and AboveNet, along with numerous private peering arrangements. Each of our data center provides more than 500 Gbps of transit and peering capacity. All our data center facilities are entirely N+2 power supply redundant, with each computer room includes its very own dual backup generator. In addition, each server rack is behind large UPS unit, equipped with a battery system that makes sure the power supply to servers remains uninterrupted, no matter the length of power outage. Force majeure situations can be covered by diesel generators, as well. Military-grade security in our system environment is well combined with the same on the physical level. All our server cabinets are highly secured by biometric and RFID card security systems including mantraps and rack locking. Only authorized data center technicians have physical access to the server cabinets, provided only upon clearance and authorization by our Technical Supervisors on shift. We have always tried to be environmentally conscious and if you are looking to take full advantage of the latest technologies and still be responsible to nature, then our facilities answer this call. We are contributing to decreasing the carbon footprint worldwide by using reduced bypass airflow and more efficient airflow direction to server cabinets for up to 78% less power consumption. All Managed.com plans include backup protection as a standard.